Huawei Y5 2017 is the great entry-level smartphone that's worthy of your second look. Huawei Y5 2017 is shaping up to be one of the hottest smartphones in the entry-level category. This year's iteration of the handset has an appealing mix of great features and affordable price standpoint. It's very clear that the company is targeting the youth and the masses with this smartphone. On paper, the Huawei Y5 2017 is not very shabby with its MediaTek MT6737T chipset. It's one of the most widely used SoCs due to its power efficient cores, 4x 64-bit ARM Cortex-A53 processors clocked at 1.4GHz speed, and Mali T720 MP graphics worker. The chipset is also coupled by 2GB of RAM which is decent enough to drive your daily tasks. You'll also get 16GB of internal storage with a dedicate slot for microSD card of up to 128GB. It's 5-inch HD display with 294 ppi pixel density is enough to give you decent screen time experience. The camera of the Huawei Y5 2017 is also great in your point-and-shoot sessions. At the back, there's an 8MP sensor with f/2.0 aperture. It comes with a dedicated dual-tone LED flash and has auto-focusing capabilities. The selfie shooter is a 5MP affair with f/2.4 aperture capable of 84-degree wide-angle shots. It comes with a softlight flash for better social media selfies. The Huawei Y5 2017 is powered by 3000 mAh battery and Android 6.0 Marshmallow with EMUI 4.1 on top. There's also a good set of connectivity features like WiFi, LTE and Bluetooth 4.0. 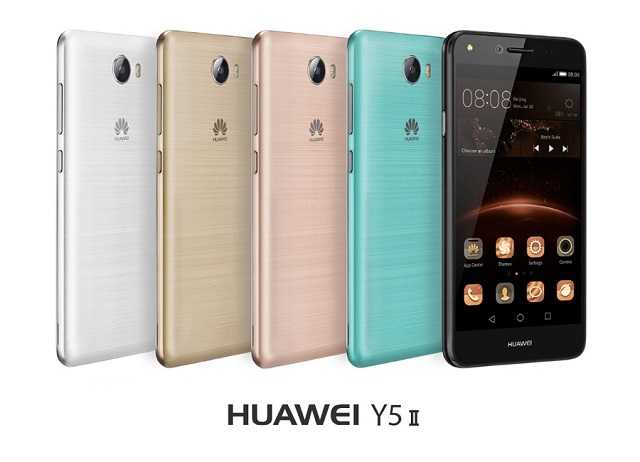 You can get the Huawei Y5 2017 in Gold, Pink, Blue, White and Gray for just Php 5890 is Huawei stores and partner dealers nationwide.